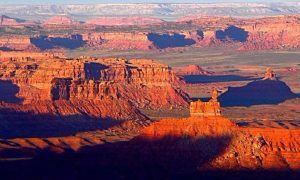 On Monday, President Trump significantly reduced the size of two national monuments by an estimated two million acres, the largest rollback of federal land protection in United States history. National monuments are federal lands protected from development by law, by proclamation of the President of the United States. They are under a different designation than National Parks, which are created by Congress. The monuments, the Bears Ears National Monument, designated as such by President Barack Obama in 2016, and the Grand Staircase-Escalante, designated by President Bill Clinton in 1996, are a part of the Trump Administration's campaign for fewer environmental restrictions and more development on public lands. The reduction in boundaries and, hence, federal protection, of the two national monuments came at the recommendation of Interior Secretary Ryan Zinke as part of his review, on the President's order, of 27 national monuments created since 1996. "Some people think that the natural resources of Utah should be controlled by a small handful of very distant bureaucrats located in Washington. And guess what? They're wrong." Envronmentalists and native nations claim the decision will threaten over 100,000 sites and cultural artifacts of archaeological importance. Proponents of Trump's decision, including Utah's two Republican US Senators, Mike Lee and Orrin Hatch, applauded the move as a correction of federal overreach that has hurt economic development in the surrounding communities. The conservative lawmakers have repeatedly advocated for more control over federal government lands which, in this case, account for about 2/3 of Utah. The Antiquities Act, signed into law by Theodore Roosevelt in 1906, gives the President the authority to "create national monuments from federal lands to protect significant natural, cultural, or scientific features." The Administration argues that Trump's predecessors exceeded the limits of another aspect of the law which states that "areas of the monuments are to be confined to the smallest area compatible with the proper care and management of the objects to be protected." "What's next, President Trump, the Grand Canyon?" 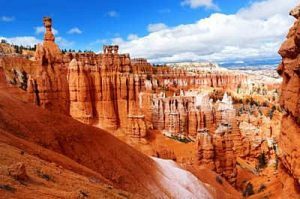 The US Supreme Court has, to-date, upheld presidential proclamations under the Antiquities Act, ruling in favor of a President's discretion to determine the size of a monument and protected area. Bears Ears and the Grand Staircase are only two of at least six national monuments on the Trump/Zinke cutting block, and the long-term implications are profound for public land conservation, setting off a legal battle that could last for years. The Navajo Nation, the Wilderness Society, and at least a dozen other groups have, or are expected to, file lawsuits.